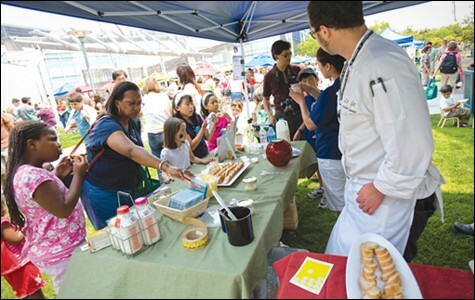 It's "food" spelled backwards, and it's both a name and a guiding principle for the folks behind DooF-a-Palooza, happening Sunday, May 22, at Jack London Square (70 Washington St., Oakland). 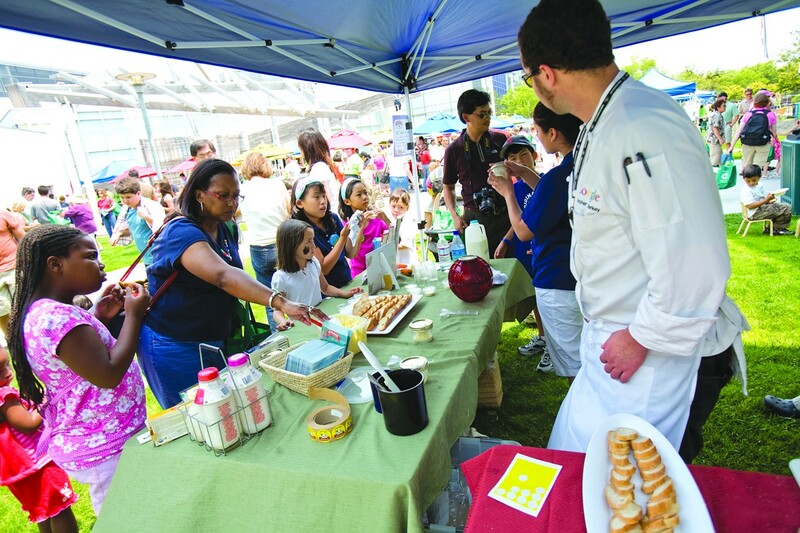 According to organizer Scott Gelfand, the event is "all about looking at food from every angle" — a multiplatform, kids-oriented, interactive, totally free celebration of healthy and sustainable food. Call it Eat Real Fest for the underage set, or a food-festival/museum-exhibit mash-up executed on a huge scale, or simply the kind of event that would make Michelle Obama weep with joy. DooF-a-Palooza is a food festival made for kids that's neither stale and pedantic nor so self-consciously "fun" that it's completely free of substance. Gelfand's background is in entertainment — he's been performing in and producing a kids' show cottage industry called The Buddy Club for nearly 25 years — so he came to DooF with a unique understanding of what, exactly, it takes to get kids excited. He was joined in the planning process, he said, by a "great group of people who are really smart and who really love kids." Gelfand and his team are fond of describing DooF as a festival where kids are allowed — even encouraged — to play with their food. Goats, bees, ponies, and live wolves (!) are involved, as are pizza dough-throwing, butter-making, pasta-rolling, and coconut bowling. Add to that appearances by magicians, comedians, and a whole host of kid-friendly food vendors, not to mention the holy grail of pre-teen entertainment, Radio Disney. Organic Valley farm is coming armed with a fake cow complete with buckets rigged to look and feel like udders. ("How many kids who live in Oakland would get a chance to literally feel what it's like to milk a cow?" Gelfand asked). Another activity lets kids catapult a "meatball" — really a spray-painted tennis ball — into a vat of tomato sauce, and another has local design and video firm Free Range Studios leading workshops in food animation. Altogether, Gelfand said, the idea is to connect kids with their food in a tangible, straight-from-the-source way, so they can make informed decisions about what they're eating. "Research has shown that when kids have a hands-on experience they're a hundred times more apt to make decisions based on that experience," he said. "So the idea is really for kids to learn the journey of their food from source to table: putting their hands on a beet for first time, or learning about twenty different types of oranges that there are, or seeing the journey that apples take to become apple juice and apple sauce."